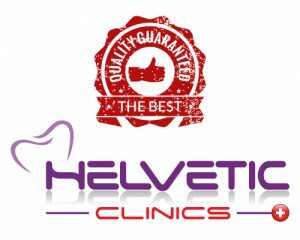 Welcome to Helvetic DENTAL Clinics! Helvetic Clinics guarantee the highest quality dental care while saving 50 to 70% on your bill compared to local dentists in the UK. At Helvetic Clinics we believe high quality dental care should be accessible to everyone. This is why our dentists have established rigorous specifications and guidelines, standardized at all our clinics around the world. 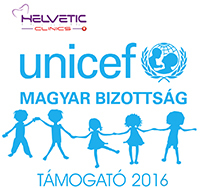 No matter which Helvetic Clinics dental clinic you choose, we ensure you will receive the most competent care in one of the very best dental clinics in Hungary and abroad. Our professionals offer you expertise in the fields of implantology, periodontology and odontology. In our dental clinics, the best dentists in Hungary are gathered under one roof, each with their own area of specialisation and expertise. Our implantologist will never treat your tooth decay, our odontologist will never insert a dental implant, and our periodontologist will never put a dental crown. Whatever Helvetic Dental Clinic you choose, we assure you the highest quality of dental care, unlike impersonal “factory dentistry” dental tourism practices seen elsewhere. 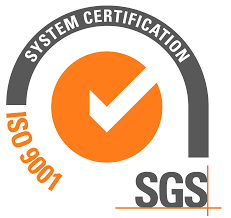 We guarantee that you will be treated by the best experts, using the latest technology and adhering to the strictest rules and procedures, far beyond those established in Switzerland. We are also highly conscious of the fact that undergoing a dental treatment abroad can be a stressful experience. This is why we ensure you receive a warm welcome at our clinics, regardless of whether you come for a simple procedure such as hygienic treatment or teeth whitening, or a more complex treatment such as dental implant surgery. Our dentists always remain attentive to your particular needs, whatever your concern may be. Our team is available and ready to meet all of your requirements throughout your stay. We are available at all times for any questions or information you may require. So please, do not hesitate to contact us via our website for questions or a quote. We will be more than happy to call you back to answer all your questions. We look forward to welcoming you as one of our patients soon! You are unique, you deserve the best! 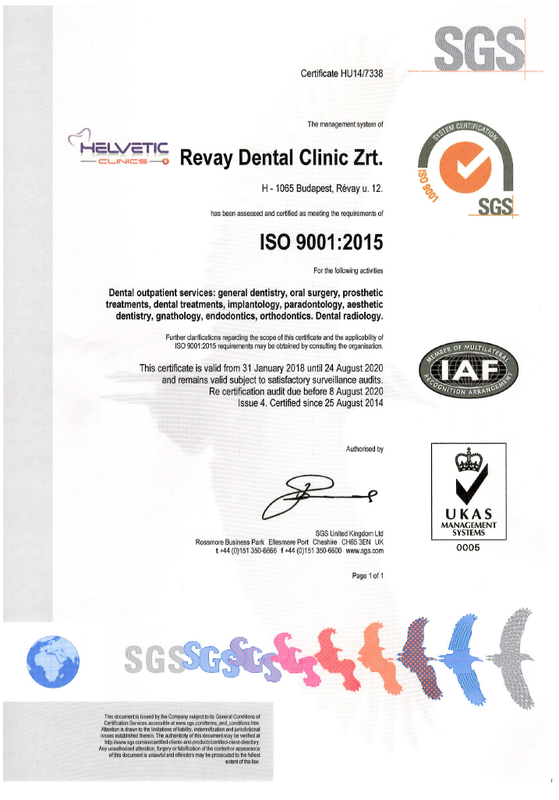 Helvetic clinics, rated best dental clinic worldwide in 2015, 2016 and 2017, watch Global Clinic Rating’s inspection. 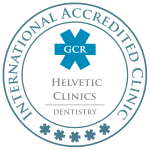 Helvetic Dental Clinics Budapest is compliant with the Code Of Practice for medical tourism, certified ISO 9001, and accredited By Global Clinic Rating (GCR).